These day buying a home is not so easy. Most times first time buyers will not get a hundred percent loan. To save for a deposit is not that easy with all the prices that just go up and up. For many young South Africans, it has become very difficult to secure a loan from a bank to buy property. And regularly, in an effort to buy their dream house, mom and dad become their go-to option. The situation is not confined to South Africa. Earlier this month, The Guardian reported that parents would assist with a quarter of mortgage deals in the UK in 2016. In practice unfortunately, this is a difficult situation. Parents generally want to lend a hand (and a deposit! ), but in doing so, they are lending money to someone who has been turned down by a financial institution. In fact, it is likely that at some point their child would not be able to keep up with the repayments. Getting involved could be to the detriment of their own finances and if they are retired, there may be limited scope to make up lost ground. And what about their other children? These types of situations are often a breeding ground for family feuds. Suzette van Niekerk, financial planner at Exceed in Somerset West, says 15 years ago, many people could buy a property without paying a deposit, but the situation has changed dramatically. While she bought her first property at the age of 26, they find that the average buyer is now in his/her early forties. Especially entrepreneurs and self-employed individuals who are subject to onerous requirements and it is not unheard of for banks to request six month’s bank statements and up to three years’ financial statements. Trixi Neethling, attorney at Law for Women in Johannesburg, says ideally parents shouldn’t lend money to children, but if they do, it has to be clear that it is a loan that has to be repaid. In some instances, it could be better to give the money to children as part of an early inheritance, she says. If parents want to lend money to children they have to make sure their own finances are healthy and that they really can afford to get involved, Van Niekerk says. If they are retired, and in a position to cover their own living expenses with less than 5% of their retirement capital, chances are that they have made sufficient provision, but people who are already pinching their pennies before lending money to kids, should refrain from lending money to anyone. Remember that the bank has turned down the person asking for a loan, she adds. In practice however, they find that even where they advise clients against getting involved, they tend to help out anyway, Van Niekerk says. Although parents and children may be inclined to enter into such a transaction on a handshake, this is ill advised. Neethling says even if the parties compile a one-page contract, it is a necessity and should in the very least make their intentions clear. Without a contract, these agreements often turn into chaos, particularly when one of the parties dies. The contract should set out the loan amount, the repayment period and other conditions. All parties, including witnesses, must sign the contract. The contract must state whether interest is payable. Importantly, it should also be cognisant of the possibility that the child could get divorced. The parents may have lent their son R1 million to buy a property and in the case of a divorce, he may have to repay the loan on his own, Van Niekerk adds. But first, parents must decide if they are lending or donating the money to their child. If the latter, donations tax of 20% will apply and effectively the parent will not only provide a donation to the child, she adds. Potential capital gains tax (CGT) and the implications for estate planning should also be considered, Van Niekerk says. If a parent has to sell an investment it may trigger CGT of up to an effective 16.4% for individuals and 32.8% for trusts. Especially where more than one child is involved, parents must amend their wills to specify whether the child would inherit the loan and how other children should be treated. In practice, most parents insist that children should be treated fairly and ultimately get access to an equal amount of money, Van Niekerk says. It is important to be transparent and to discuss the situation with all children to avoid unnecessary friction and unhappiness. In the case of a loan, Van Niekerk believes parents should charge interest. If they don’t it could be considered a donation in the long run, which could trigger a tax liability. Apart from the potential CGT implications if the parent sold an investment, the parent will also be losing out on the growth of the investment. Although the child could still inherit the loan later on, charging interest broadly in line with the prime rate will ensure that the parent doesn’t move backwards. But what happens when a child falls behind on the repayments? In practice they usually offer children an opportunity to remedy the situation, but if they can’t, she typically recommends that the property should be sold to avoid sequestration, Neethling says. She favours a trust for this type of transaction (loans to kids) as the whole family can be protected – trustees have a fiduciary duty to look after the interests of the beneficiaries. “If it [a trust] is managed well then there couldn’t be a better vehicle at all,” Neethling says. Ultimately there is no replacement for education. Van Niekerk says the best way to empower children is to provide them with a proper education, which could be a degree, diploma or learning a trade to enable them to stand on their own feet financially. Some elderly clients are still assisting their unemployed children and the financial responsibilities just don’t seem to end. Parents should encourage children to save and to start their own businesses. Children who are used to credit cards don’t understand the value of money and the importance of saving, Van Niekerk adds. 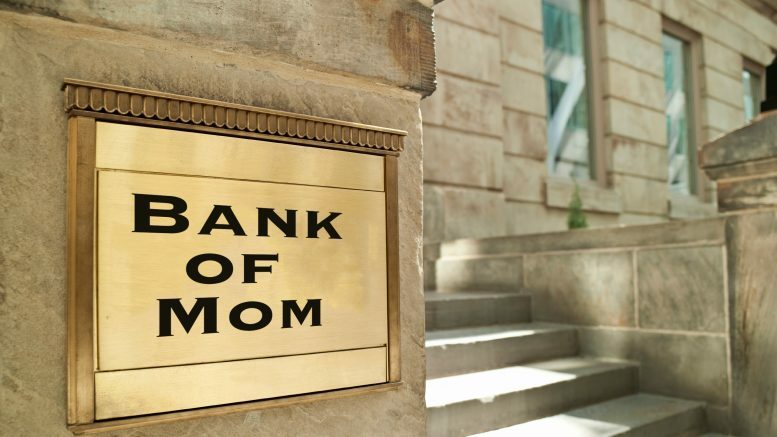 Be the first to comment on "Mom, Dad, could you help with a loan?"